We are Experts in colour and texture; bringing harmony to your new collection and your home. With decades of experience under our belt, Studio 281 is undoubtedly the finest framing studio in WA. With in-depth experience of fine art framing for exhibitions, large oversize installation and museum artifacts; Studio 281 is nothing short of the finest quality in framing around. 1. Meet us with your artwork or piece for assessment. 2. Custom design your artwork to match your home or project with the master Framer. 3. Receive your artwork or have it delivered on site and installed by our installation experts. All framing is fully inspected before delivery and assessed for longevity and consistency, any faults and the artwork is completely reframed until perfect. Mouldings all have unique properties, different finishes, grains, strengths and weights. With access to a comprehensive range of more than 4800 picture frame mouldings, which is continuously updated to accommodate the latest interior design trends. From traditional to contemporary, plain to ornate, we have a moulding to suit your framing needs. Frames can be added to a canvas to enhance the artwork, with unique Silhouette frames available. We can also create an inner slip frame which can sit inside the outer larger frame, giving an inner edge, leaving you with a very opulent finish. Glass shapes your artworks visual performance and also longevity, a correct glass choice will shape your overall experience of your artwork in your home or exhibition. does not oxidise or degrade over time. Matboards come in various finishes, colours and styles, anything from reflective, matt, suade, decorative, black core and white core. There are multitudes of selections and many artistic ways to present your artwork; especially with our custom designs that are available through our Wizard matboard cutter. 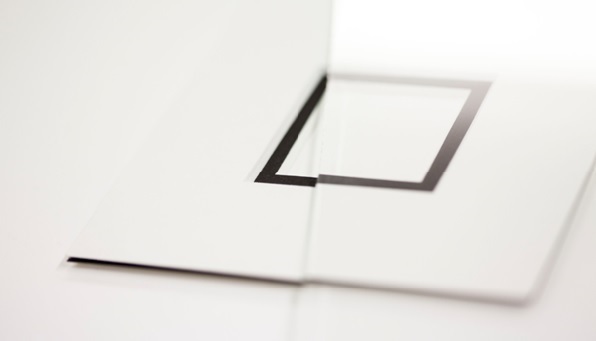 There are a few different grades of mat board available, the most common being the standard whitecore by Crescent select for our everyday imagery and the rag matt museum solids for archival works. Contains no lignin with little deterioration after 75 years. Standard boards are buffered with 3% calcium to create some longevity. The mat board can create space between the artwork and the frame, enlarging the overall look of the picture frame and giving the artwork room to breathe. Where as the window size can be reduced to crop an artwork or conceal unwanted sections. Mattboards can also be decorated with diverse inscriptions, patterns, lines and other etchings. At Studio 281 we suit every need, we stretch blank canvases with our own premium fabric stock onto manufactured stretcher bar to suit your every need. We also Stretch anything from digital prints, oversize canvases and Bali paintings, we are leaders in this field. We have a range of thicknesses, we never use wedges to add tension. The wood we use for our bracing is from seasoned strong wood that will not warp or twist. Made with a custom sloped edge with a rounded backing it prevent bar marks, easy stretching and stops the bar from touching the back of the canvas. At studio 281 we do not finger join or order our canvases ready made from a supplier. Everything is made in house by hand, from very experienced framers, who take a passion in perfection and detail. Anything can be framed, this all depends on your requirements and aims for the artwork. We have some unbelievable stories of items that have gone into frames and onto walls, from swords, WWII jackets and helms, AFL jerseys, dried wedding bouquets, replica pistols, masks, ballerina shoes and much, much more. Conservation framing is simply to encase and preserve the artwork while leaving its original condition unchanged. We do this with the prevention of UV light, humidity, insects, air pollutants, and the quality of materials touching and in close contact with the artwork. Our frames are all hand sealed with archival framing tape ‘Rinrei’, where as the backing board is fixed in place for a permanent seal, while tacking can be provided for temporary works.